John Shirley practices in the area of business law, having represented public utilities before the Louisiana Public Service Commission for more than 20 years. His practice consists of representing electric, gas, water and sewer utilities, motor carriers, telecommunications companies, and wind and other renewable energy companies before the Louisiana Public Service Commission. He also consults and lobbies elected public service commissioners, the Louisiana Bond Commission, executive staff and the Louisiana legislature on behalf of his clients. 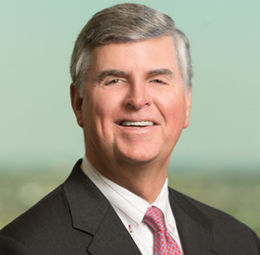 Prior to joining the firm, he was the founding partner of Shirley, Ezell, Guarisco & Marionneaux, LLC. Represented investor owned utility companies in multi-billion dollar rate cases. Represented multiple utility companies in the sale or acquisition of other utilities within the state.